In August of 2015, StoryCorps contacted OutVentures and asked us to participate in their program. You may have heard some stories collected by StoryCorps on National Public Radio. “StoryCorps’ mission is to provide people of all backgrounds and beliefs with the opportunity to record, share and preserve the stories of our lives. 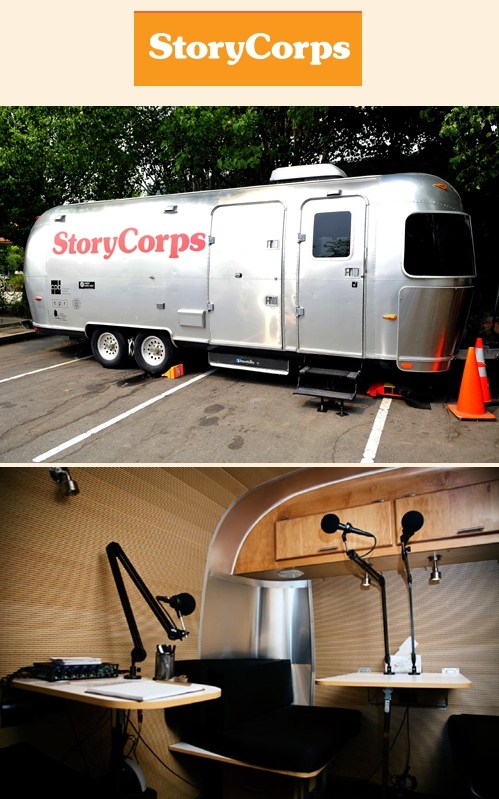 When StoryCorps reached out to OutVentures, the Board had to quickly decide on a “short list”. Nearly a dozen OutVentures members were asked to participate. In the end, 5 members decided to record their stories for StoryCorps. The decision to share a story is completely up to each individual. Happily, all OutVentures members who recorded their stories have shared them with StoryCorps and the Library of Congress, where their stories will remain in perpetuity. Three of the OutVentures members have also graciously agreed to share their complete story with OutVentures. Most stories on StoryCorps are edited to just a few minutes, but here you will get the entire recording! There is no pre-set format to these interviews, participants choose what to share and how to share it. OutVentures is honored to present these stories to you, and I hope you will all honor and respect what they have given us…their story, in their words, with their voices.